Remodelling your home is far from an easy task. There are so many things to think about, and bringing them all to work together is quite daunting. Far too many people overlooked their driveway when remodelling. 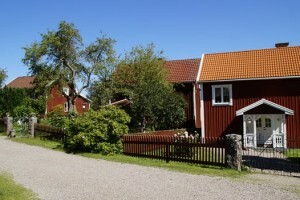 They often don’t consider whether they have the best driveway for the home of their dreams. Driveways are the first thing that people see when they turn into your house. As a result, they are vital in making an impactful first impression. 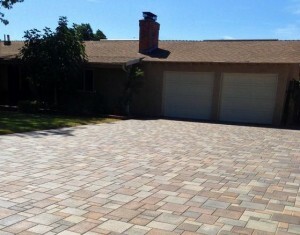 There are many different driveway styles and materials to consider. Below is a list of the most common options along with some advice for each style. Being average-priced and very long-lasting, concrete has been the standard driveway for most homes for a long time. If it is installed properly, the maintenance costs are low over the long term. However, it is easily stained by oil and therefore isn’t ideal if you work on your car a lot in the driveway. It is also not great in very cold climates which often need de-icing as it can be broken down over time. A concrete driveway would be the best for your home if you are looking for an option that requires little maintenance. 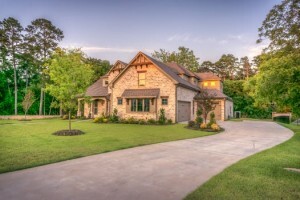 If you are surrounded by homes with concrete driveways, yours will blend in nicely in the area. Asphalt is a very cheap option for your driveway, and comes in black as standard colour. There is the option to get designs stamped onto the asphalt as well, but be sure you are happy with the design as you don’t want to have to reinstall it. 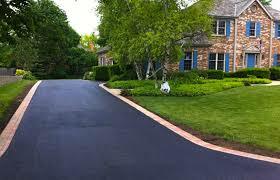 Although it is cheap, asphalt requires a fair amount of maintenance as it cracks quite easily. Asphalt is recommended if you have a large area to cover as it will keep installation costs low. Gravel driveways consist of loose stones kept in place by a barrier on all sides. Although it can create a stunning look, especially if you have landscaped surroundings. However, if your driveway is a long one, the gravel can be pushed around and shaken up a lot. As a result, it requires a fair amount of raking and you should consider replacing the gravel every few years. 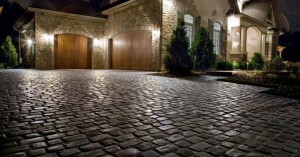 Brick has been used since ancient times and will give your driveway a classic, timeless feel. Like gravel, it consists of a boundary within which the bricks are laid. Brick is pricey. However, it can last for many decades and looks perfect in historic or upper-class neighbourhoods. Cobblestone gives your home a feel like brick but older and more rustic. It also comes with an even larger price tag attached. On the upside, small damage and wear-and-tear to your cobble drive will only give it more character. 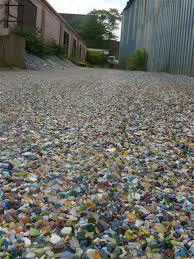 Glass driveways are made of many small pieces of thick glass that is sealed with resin. Glass allows you freedom of choice with colour as you can blend different glasses. It is also often recycled so if you are very conscious of the environment, then it is ideal for you. If you love the look of nature and want an environmentally friendly driveway, then a green driveway could be the one for you. 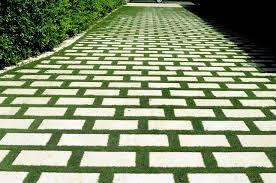 You can either have a concrete grid with grass inside, or you can have a full grass surface with a plastic base. The main negative for a green driveway is that you need to keep the grass alive so avoid this option if you live in a hot climate and you’re not prone to looking after your front yard. Whichever driveway you choose, talk to your local professional driveway expert and see what they can do for you.